Tax planning is essential to the financial plan of any business or individual. L Myles Smith and Company has been helping clients navigate the tax code and achieve their financial goals for over 30 years. We guide our clients through a full range of tax planning and preparation decisions with strategies that minimize liabilities, maximize your cash flow and keep you on track to meet your financial goals. 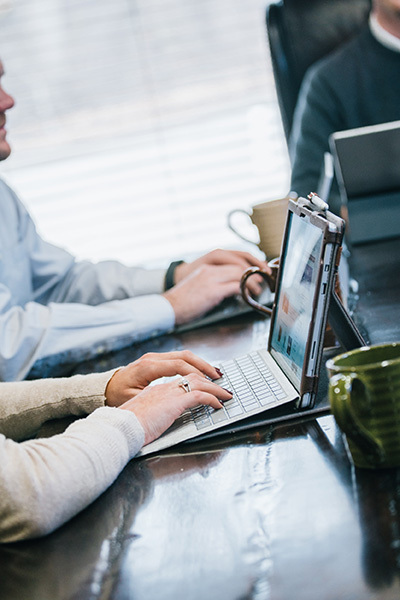 Our investments in the latest software and technology allow us to stay in front of the constantly changing tax code and suggest changes to your plan in real-time. Our firm can host your Quickbooks data file in the cloud; giving you anytime, anywhere access to your business’ financial information. This also allows our firm to view your data in real time and provide the best service possible. We have 3 Quickbooks Pro Advisors on staff with over 20 years of Quickbooks experience. We can help you to design and manage your company’s financial records. Our firm can help you determine the best software for your business and assist with training yourself and your employees. Our firm can provide consulting on a wide range of tax, financial and technology topics. We offer Client Accounting Services which include financial statement analysis, accounts payable, accounts receivable, bank relations, financial planning, budgeting, etc. We can also handle your business technology needs with evaluation of your current infrastructure and implementation of a new schema.